Apple has released an update to iOS that includes a number of new features, services and bug fixes. Chief among them is Apple Music, the company’s long-rumored streaming music service that has already caused a bit of controversy in the music industry. As the name suggests, iOS 8.4 is the fourth major update to Apple’s current-generation mobile operating system and is available as of writing via over-the-air download. Once the update has been installed, users will find Apple Music tucked away within the default Music app. Unlike competitors such as Spotify, there’s no free ad-supported on-demand option with Apple Music. Subscribers will need to pay out $9.99 per month to use the service (or $14.99 for the family plan that grants access for up to six listeners). 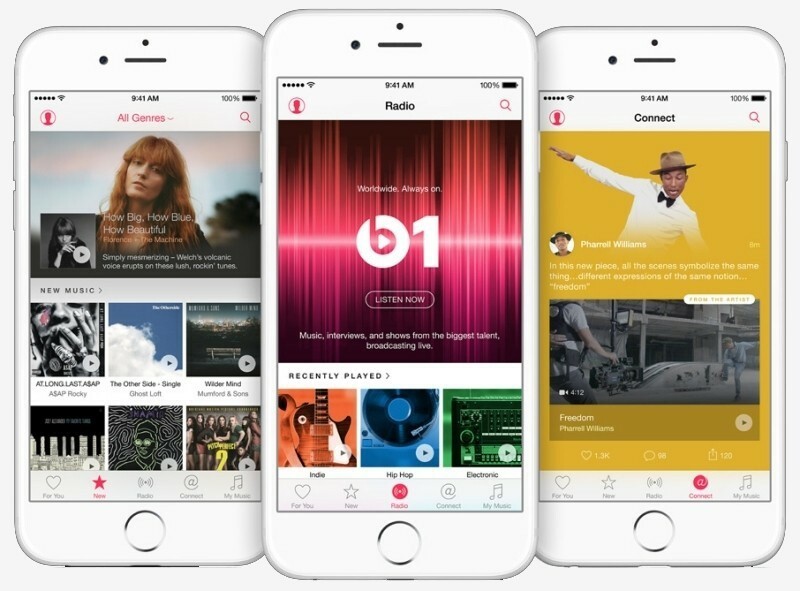 Users can try out Apple Music free for the first three months. Beats 1, the new baked-in global radio station, will be completely free for all. It will air out of New York City, Los Angeles and London and will be hosted by Ebro Darden, Zane Lowe and Julie Adenuga, respectively. Apple Music includes another feature called Music Connect. Perhaps best described as an Instagram / Twitter mash-up, Connect is a platform that allows artists to connect with fans through content sharing. Examples include backstage photos, exclusive videos and lyrics to a new song that’s in development. iOS 8 also delivers a complete overhaul of the Music app that includes a new UI, broader search capabilities and easier ways to find new music. The update additionally moves audio books from the Music app to the iBooks app and fixes a few minor bugs.